Jamal Khashoggi - The Controversial Journalist. His early life, His profession, career, lifestyle. Why he is murdered? How he is murdered? The disappearance of the suspected dissident Jamal Khasogi followed by his mysterious murder has crept into common parlance and of course it is a matter of international concern today. The accusation is that a special killer team killed the late journalist when he entered the Saudi consulate office in Turkey on visa work. This incident has also affected Saudi Arabia with the West. The United States even threatened to impose sanctions on its close ally Saudi Arabia. But who is this Jamal Khasogi? One of Al Jazeera's articles says that he is one of the most famous journalists and political observers of his generation in Saudi Arabia and Arab world. He has been involved in journalism for almost 30 years. Khasogi was a close person of the Saudi royal family. His family is in close touch to the Saudi royal family form generation to generation. His grandfather Muhammad Khasogi was the personal physician of Saudi Arabia's founder King Abdulaziz al-Saud. His uncle Adnan Khasogi is known as international arms trader. He was born in 1958 in Madinah, Saudi Arabia. At the young age he studied in journalism at the Indiana University of America. From 1987 to 1990, he was a representative of London-based Saudi-owned Asharq al-Awsat. Besides, he worked for eight years in the Al Hayat well known in the Arab world. But Khasogi has got the most recognitions due to news of various events in Afghanistan, Algeria, Kuwait and the Middle East in the 1990s. In the mid-1990s, he interviewed Osama bin Laden several times. Bin Laden was yet to become the head of Al Qaeda then. In 1999, he became the deputy secretary of Saudi Arabia's famous newspaper, 'Arab News'. In four years, he got the position of chief editor of Al-Watan. However, in 2003, he was fired without explanation just after two months of joining. But some people think that the 'editorial policy' he introduced was the reason behind that. He then worked as the media advisor to Prince Turki Bin Faisal, Head of the General Intelligence Directorate of Saudi Arabia's intelligence agency. He was then a Saudi ambassador to the United States from the end of 2005 to the end of 2006. In 2007, he became editor of Al-Watan again. But in 2010, he was fired again. Khasogi on his website wrote that the punishment came down due to his encouraging on various issues and debate inside Saudi society. However, in that year, he was appointed General Manager of the Arab News Channel. The owner of this channel was Prince Al Waleed bin Talal. It was managed from Manama, Bahrain. But the channel was closed in just a day after the start of the journey in February 2015. Many assumed that the channel's editorial policy and invitation of an opposition Leader of Bahrain were the reasons. Apart from these, Khasogi often spoke in Saudi and Arab channels as a political observer. Although there were always ups and downs in Khashoggi's life situation got a real bad shape with the rise of current Saudi King Mohammad bin Salman. Khasogi criticized his various domestic policies during this period. In particular, despite the promise of the reform of the crown prince, the dignity was related to the arrest and torture of dissidents. Basically, after coming to power Mohammed bin Salman started a great repression. Many members of the other royal family, renowned businessmen, activists and religious leaders were detained. Khasogi still kept writing. In his country, he spoke on behalf of freedom of expression. 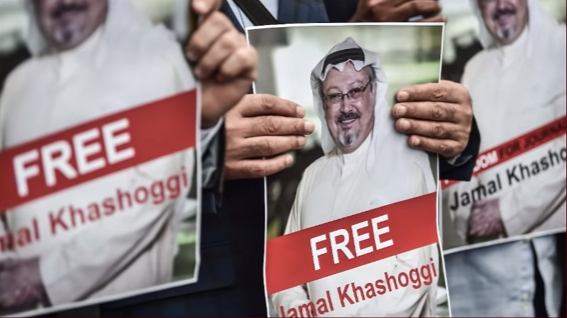 In September last year, Khashoggi criticized the listing of the Muslim Brotherhood as a terrorist organization in Saudi Arabia. In a tweet he wrote, "For a long time I have seen that everyone who believes in reform, change, Arab spring and independence, and who are proud of their religion and country, have been persuaded to be Muslim Brotherhood. It seems to me that Brotherhood's thinking is quite good. Due to his candid talk, his position in Saudi Arabia has become critical. Finally, he moved to Washington. There he said that he was given the 'command to remain silent'. In that month, he wrote a column in the Washington Post, titled: "Saudi Arabia is not always so oppressive. Now it is intolerable." He shared the article on Tweetter, I'm not happy to publish this article in the Washington Post. But silence is not helpful to my country or to the prisoners. His article was criticized by the Governor of Mecca Province Prince Khaled Al Saud. He wrote on Tweetter that our leaders do not need advice from someone like you. A few months later, in December, Al Hayat intersected with the khasogir. His articles are closed. Khasogi was involved in various activities of independence and rights while living in Washington. In the Washington Post, he was appointed as the editor of opinion. Khasogi then further increased the criticism of the Saudi prince. He compared him with Russian President Vladimir Putin. On 21st May he wrote in one column, 'It is expected from us that we will commend social reform. We will praise the prince. But will not make any statements about some Saudi pioneers who dared to talk about these decades ago." He also wrote," We are told to give up any hope of political independence. Apart from this we have to keep silent about the repression, arrest and travel restrictions on critics and their families." Mohammad bin Salman is called 'emotional' in the case of forced resignation of Lebanese Prime Minister Saad Hariri from Riyadh. In another article in September of 2018, Khasogi called for the restoration of the country's dignity by stopping Yemen's civil war. Apart from this he said that Saudi Arabia does not have the ability to fight with Canada in the context of Saudi diplomatic dispute with Canada. Khasogi went to Istanbul on 2nd October. There he entered the Saudi consulate to extract some documents to finalize his marriage with his Turkish fiancée, Haiti Cengage. Since then he is lost. The Turkish security authorities said that he was murdered. A Turkish official said, "We believe that the assassination was planned and his body was later removed from the consulate." The Washington Post said in a statement that he was one of the most famous thinkers in his workplace and in his country. 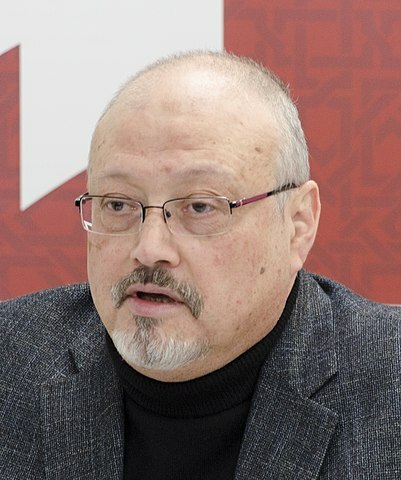 In the Washington Post, his colleague Jason Rezian wrote, Khashoggi represented insinuating insights and dialectic criticism about a country for readers. Although he criticized his motherland, he often described his love for the country and the desire to return to the country. He often reiterated his belief that Saudi Arabia would do better one day. Khasogi editor Karen Atiyah said in the Washington Post, "We will not give up." He added, "From his conversations with him as his editor, I can say that he really loved his country and people. He believed that his responsibility to present the true picture of the country's past, present and future is his responsibility." Initially, the Saudi authorities claimed that he had left the consulate. After the disappearance of Khashoggi the Turkish government became active in search of him. The Turkish government alleged that he was killed. Saudi Arabia denied it. After many statements and counter-statements, on 20 October, Saudi Arabia finally acknowledged the killing of the journalist in consulate. In their new interpretation, he was killed in a phased manner. The declaration issued in a tweet by the Saudi Foreign Ministry said that the government's initial investigation found that Khashoggi got into a debate with the people there and when it went out of control he was killed. 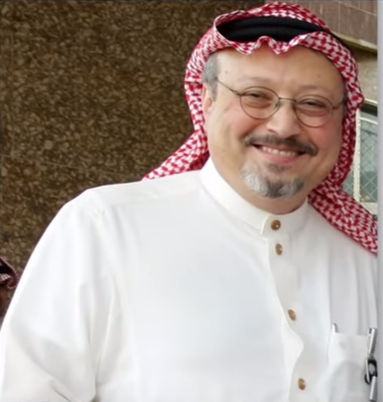 Khashoggi was killed in a clash of untimely death. In that Saudi statement there was no comment about his body. The Turkish authorities did not find any details of the dead body. There are two types of news about his body. A news has told that his body was found at the Consul General's residence. Another news also said that his body was taken to Saudi Arabia on special aircraft. Suspicion of many intelligence agencies including Turkey - the Saudi government has planned this killing. International media reported on the Turkish and US investigations that Saudi Prince has strong evidence of the disappearance of the famed disappearance. In these comments and rumors, the Saudi government said that they have fired five top officials on the issue of the digestion. Notable among them are Advisor of Prince Muhammad Bin Salman, Saud Al Qahtani and Assistant Intelligence Chief Major General Ahmad Al-Ashri. More than 18 Saudi people were initially arrested in this incident. Note that the Turkish government informed that 15 Saudi nationals arrived in Istanbul on a special flight on the day of Khashoggi's assassination and they returned to Saudi Arabia on that day. Although Turkey's continued movement and international pressure are saying to arrest more, the observer believes that the real culprit is behind the screen. Detectives believe that the two top officials who have been arrested have been sacrificed. 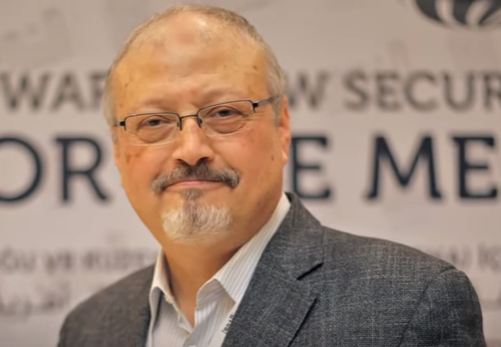 The US-based media reported in the New York Times that, something else will be done to cover up the accusation that Salman was involved in the murder of Khashoggi. Saud al-Qahtani is one of the two top officials. He is one of the closest advisers of the crown prince. He is very tactful and influential. He created a black list of those who criticized the Saudi Arabia online. The presence of social contact made Kaahtani a special officer in the Arab world. He claimed that he had 13 lakh followers through social networking. He used to say, I have always been a loyal worker of my country. After the arrest of Kahtani, his tweet became viral. These posts are published in the Washington Post. It is to be noted that Qahtani was constantly trying to get Salman's critics to return to Saudi Arabia. US intelligence told that he was trying to capture him in Saudi. Another official dismissed is the deputy head of the Saudi intelligence agency Major General Ahmad Al-Ashri. He was also a very close person of crown prince. Before taking office in the intelligence department, he took part in the Yemen attack for two years. Saudi Arabia's alliance is contimuously striking Yemen. They are using chemical weapons and this information was going to be leaked by Jamal Khashoggi. A friend of Khashoggi said on condition of anonymity that his friend Jamal Khashoggi was going to give him 'Documentary Evidence' regarding chemical attack. The UK's Media Daily Express released this information in their report. 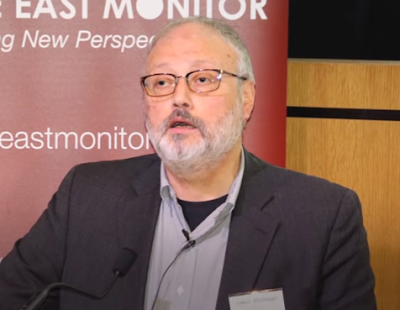 Jamal Khashoggi's friend said that he met Khashoggi a week before his death. At that time he was very anxious. Asked for the reason, Khashoggi told his friend that he was collecting evidence about the use of chemical weapons in Yemen. Is Khashoggi a victim of Machiavelli tactics? Politics-diplomacy has a term called Double Standard. It means to play the role of assassin and cleric at the same time. In the political science, 16th-century's Italian thinker Machiavelli is considered to be the proponent of such immoral philosophy. He emphasized on craft and power. He used to say, the ruler would be as brave as a lion and as cunning as a fox. He will be the most cruel and handy in controlling rebellion like a rebellion. He will follow duality. On one hand, he will instruct the commander to be very cruel to the rebellion. On the other hand, the commander will be hanged for cruelty later on. Machiavelli publicly supported the use of cruelty, betrayal, murder or any other way of maintaining enough intelligence and secrecy for purpose. In the stream of events of the Khasogi killings, it appears that those who killed the journalist were arrested on the instructions of the Lord. Later, they may be sentenced to death for protecting the reputation of the Lord. In this case, if they try to open their mouth or try to tell the truth, then they may receive an abortion. Machiavelli or Kautilya defined it as Politics. But People in general want to see honest politics in the country or abroad, not anti-national.